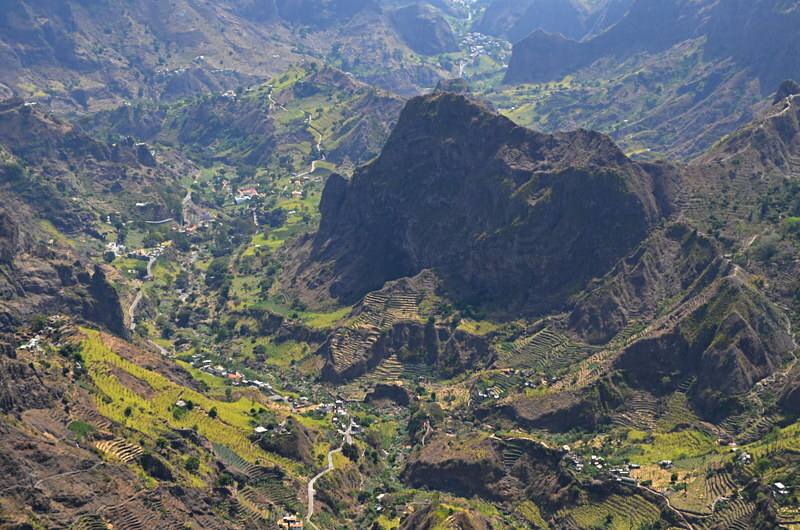 The Cape Verde Islands tend to suffer from the same misguided preconceptions that plagues the Canary Islands – that they consist solely of beautiful beaches and sprawling tourist complexes. Google the Tripadvisor forum for the islands and you’d be forgiven for thinking the archipelago consisted of only two islands, Sal and Boa Vista. Before we found out the reality for ourselves, the picture painted by most of the people we knew who’d visited was the islands were arid and there wasn’t much to see. 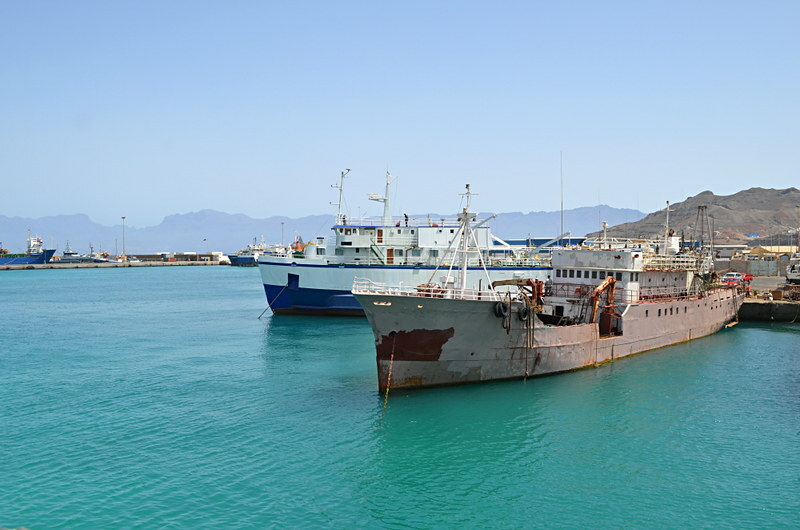 Seven nights spent exploring three islands with guides and accommodation arranged by Archipelago Choice revealed that many people who visit Cape Verde only ever get to see the purpose-built version. 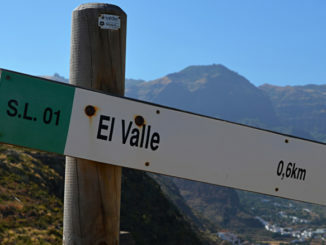 An early flight from Gran Canaria with Binter Canarias gets us to Sal in time for a decent explore before we catch a late night hop of a flight to neighbouring Sao Vicente. 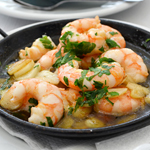 After a taxi ride through a flat, uninspiring landscape, the town of Santa Maria is a pleasant surprise – colourful colonial architecture and oleander lined streets with interesting looking restaurants. The town’s beaches live up to their promise of being long golden beauties. There is a surprising lack of lobster-coloured tourists on the streets. It soon becomes apparent that many of the inmates of the huge complexes don’t stray too far from their hotels. For a resort town Santa Maria feels unusually authentic. 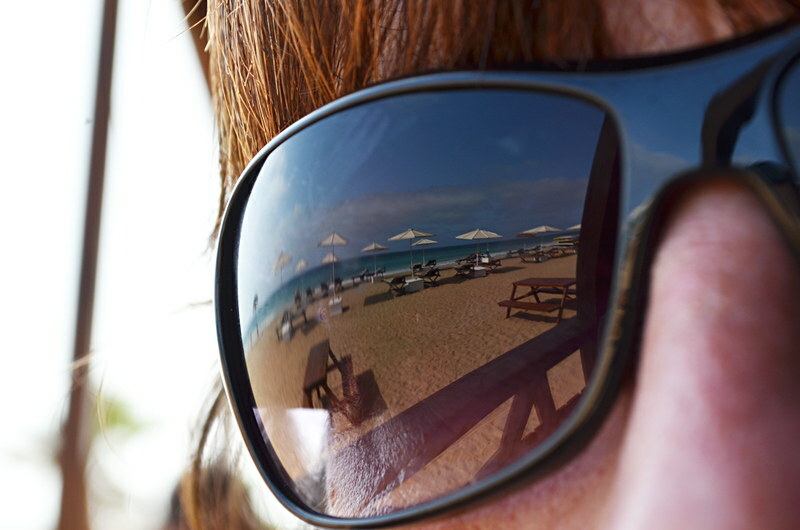 We change cash at a bank where service comes with huge smiles and cool down with a beer at an upmarket version of a beach bar shack on the more touristy end of town. After a dinner which reflected the influences which have shaped Cape Verde – a Portuguese francesinha and a tropical chicken curry – we’re picked up and taken to the airport for our flight to Sao Vicente. By the time we arrive at our boutique-type hotel in Mindelo it’s near midnight and only time for a quick beer before bedtime. Daylight reveals Kira’s is one of those little treasures of a small hotel – attractive boutique decór and family friendly staff, especially the lovely Isabel who runs it. Breakfast in a bijou courtyard involves our first meeting with the Cape Verde staple, cachupa, as well as bowls of fruit, chunky breads and local cheese. After breakfast we meet our first guide, the smart and amiable Claudia whose grasp of politics and love of her homeland will surely see her involved in running her country at some point in her future. We chatter endlessly all the way from Sao Vicente’s highest peak to the coast, passing the occasional donkey and men bent double, hammering away at the square rocks that make up the cobbled path we walk on and which form most of the roads on the islands. 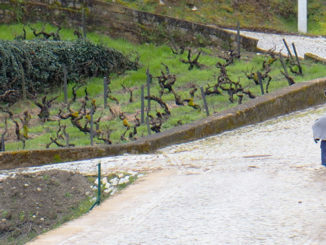 The ruddy, rolling terrain is reminiscent of a blend of Lanzarote and Fuerteventura. 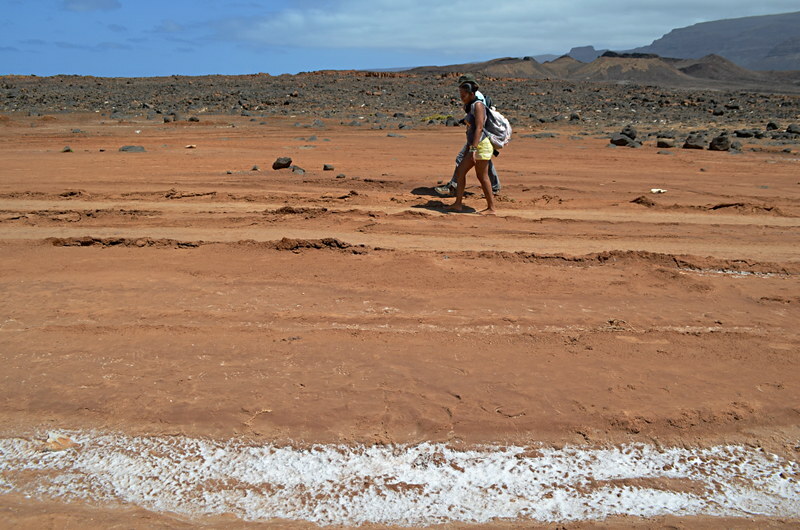 By the time we reach white dunes and rows of multi-coloured fishing boats at the coast we’ve gained an insight into the Cape Verdean psyche thanks to Claudia’s anecdotes and honest depiction of life on the islands. 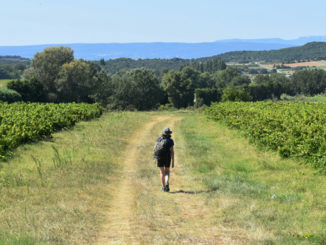 Claudia’s boots, a present from a previous visitor, died en route and she ends the journey walking barefoot. 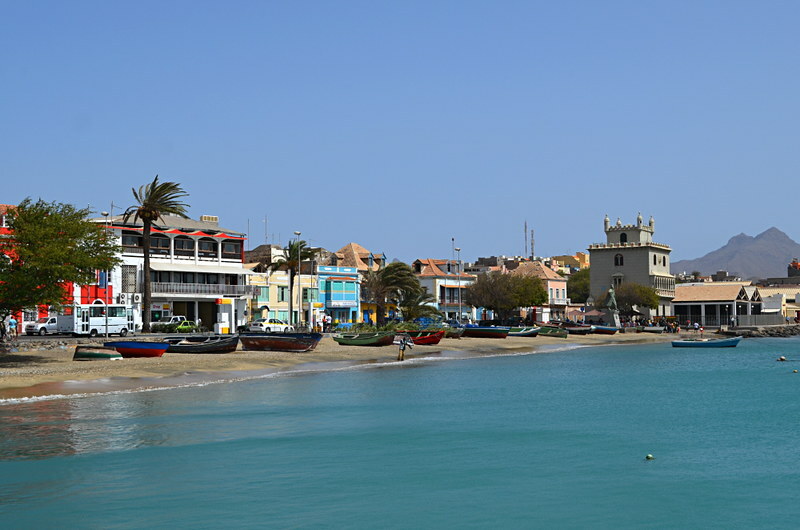 We spend the afternoon getting to know Mindelo, whose colonial past is ever present in the bright pastel facades and pretty balconies of many of the low buildings lining the streets. There’s a vibrancy in both appearance and personality which gives it a quasi Caribbean vibe. The Portuguese influence is unmissable; apart from Super Bock signs outside of bars, a mock Torre de Belém on the seafront screams out who once governed these islands. Mindelo has a reputation for live music and sure enough we’re treated to hauntingly melancholic suadades courtesy of a talented young duo as we work our way through a seafood platter at Casa Mindelo. We were first enchanted by local legend Cesária Évora’s soulful voice in a hotel in Salzburg; it’s a treat to hear her most famous song ‘Sodade’ performed live in a Cape Verdean setting. The meal and music ends with an introduction to another Cape Verde classic, grogue, the local firewater. A short taxi ride drops us at the port where an army of rust buckets contrast attractively with luminescent turquoise water. The ferry to our next port of call, Santo Antao is comfortingly familiar as it’s exactly the same as some of the ferries which sail between the Canary Islands. In a way it feels no different from travelling between Tenerife and Gran Canaria. I think I was expecting free-roaming cattle and goats. 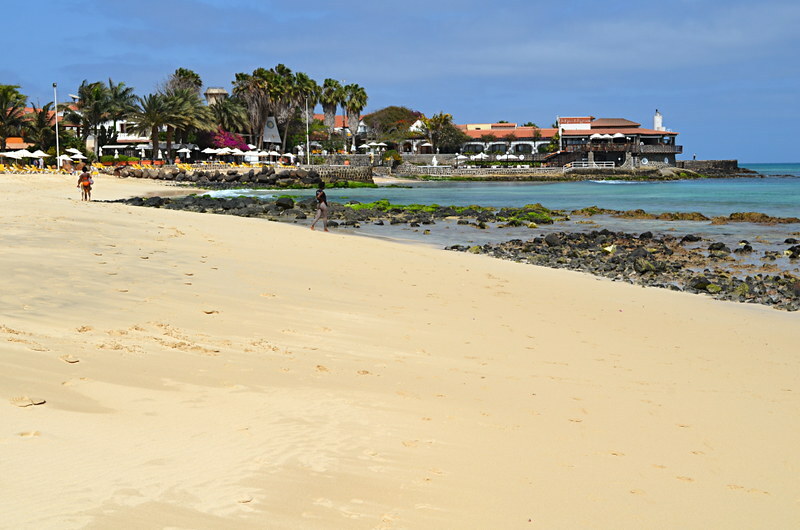 We’re met at Porto Novo by a new guide, the ebullient Hetty, another strong Cape Verdean woman with a huge personality. 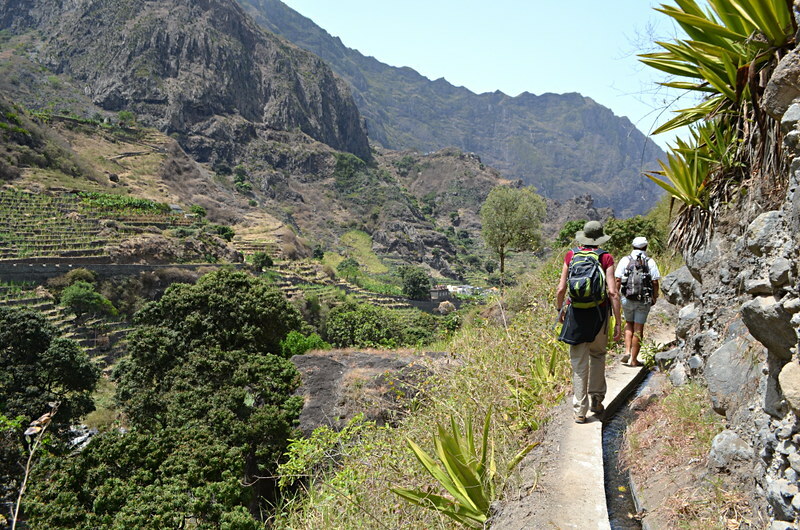 Initially Santo Antao looks only slightly less arid than Sao Vicente but as we climb higher to the spine of the island, more greenery appears and the mouth-opening moments start to pile up, beginning with an eclectic man-made forest of trees which don’t belong together. After being deposited in the base of a volcanic crater whose fertile basin has been claimed by farmers, we climb to it’s rim where we’re gut-punched by views of an unexpected world, the Paul Valley. Between us and our hotel, Casa das Ilhas, lies stunning scenery, thatched huts, men hacking at cane, women selling fruit and a German hippy who runs an oasis of a restaurant which sells all manner of home-produced goodies ranging from cheese and pastries to grogue. 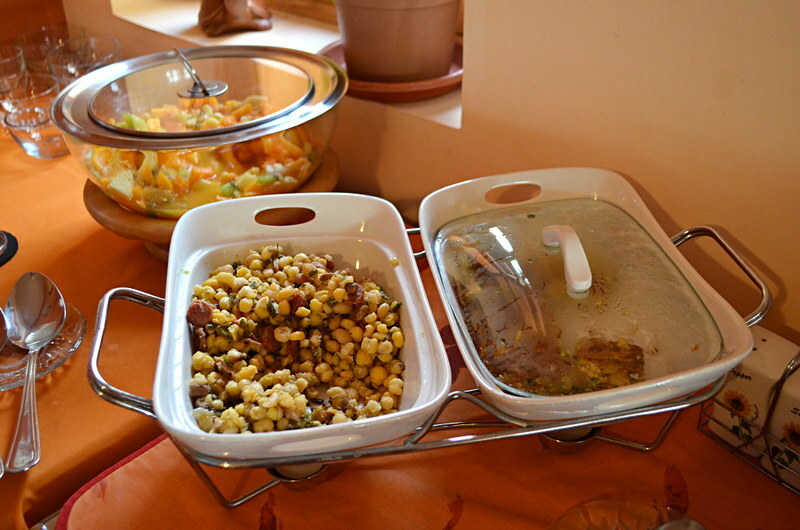 We don’t eat there, instead we lunch on Hetty’s fabulous homemade cachupa and mini sweet doughnuts in a friend’s living room. Hetty leaves us at Casa das Ilhas which, although the rooms are basic, boasts heart-soaring views down the valley, especially good when served with a beer. Dinner is dished up in a communal dining room where the evening’s entertainment is a praying mantis V gecko fight; far more interesting than many resort hotel fare. Really interesting review. I used to be a travel agent and I never managed to get people to go to Cape Verde, they always ended up with the Canaries or Egypt. Good to hear it’s such an interesting place.